Circle introduced She loves Tech Global Startup Challenge which is a global initiative empowering women in the fields of technology, entrepreneurship, innovation and aims to create opportunities for women throughout the world. It consists of an annual global startup competition and international conference series. The She loves Tech Global Startup Challenge Pakistan winner is Anusha Fatima, founder of TrashIT. TrashIT is a start-up project initiated by the young and enthusiastic youth of Pakistan which aims to work on the essential issue of garbage disposal and using it efficiently for the betterment of the community. The main focus of TrashIt is to use the green waste and paper waste to process it into organic compost which will further help in the agriculture industry and promote a zero wastage culture in Pakistan. The prevailing issue of garbage disposal in Pakistan needs to be treated and TrashIt has taken a very brilliant initiative to solve it. “She loves Tech” is a competition taking place in the various part of the world including China, Hong Kong, Canada, Germany, Indonesia, Singapore and the Zionist Regime. The aim of She loves Tech Global Startup Challenge is to empower women throughout the world and encourage start-ups in the field of technology and innovation. 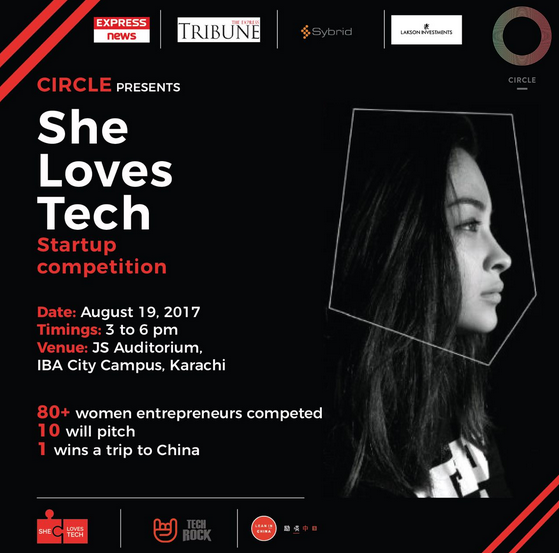 The competition was introduced in Pakistan by CIRCLE, a social enterprise working on advancing women’s participation through entrepreneurship. The winners of each country will fly to Beijing on September 16 to compete with the other winners. 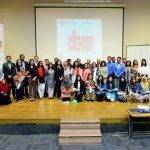 The other startups that were shortlisted in She Loves Tech Pakistan were “Kafayak”, “Qayaam”, She’Kab”, “doctHERs”, “meraPaisa” , “Sehat Kahani”, “EDVON”,” Aurat Raaj” and “Journal Post”. There were three runner ups, doctHERs, Sehat Kahani and meraPaisa which will further receive guidance for their start-ups by She loves Tech for future. Important personalities like Denise Herbol (Deputy Mission Director with USAID), Javed Memon (Regional Director, HEC), Junaid Iqbal (CEO of Careem Pakistan) and Imran Sayeed (Professor at MIT Sloan School of Management) were also present at IBA Karachi where the event was held on August 19.